Dr. Marco Tavanti offers a lecture on the basics and evolution of the concept of human security. The lecture highlights the sustainable and institutional values of sustainable human security. The reflections have been recorded as Google Hangout during a 2013 graduate course on international conflict management. It includes a video interview to Gen. Chuck Tucker along insights form the United Nations and other studies on human security. Dr. Marco Tavanti and Dr. Alfredo Sfeir Younis introduce the concept of human rights-based sustainable development as a framework for understanding indigenous rights and sustainable development. This integrated approach is clearly linked to the notion of sustainable human security. The PowerPoint presentation includes a video interview to Dr. Sfeir Younis. The presentation was first made for the 2012 International Conference on Environmental, Cultural, Economic & Social Sustainability in Vancouver, Canada. 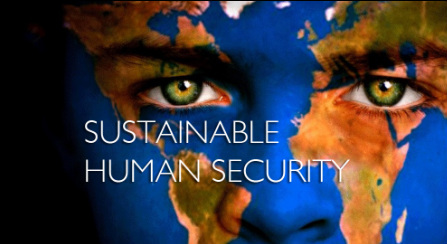 The Sustainable Human Security Learning Forum is a sharing site for professionals and graduate students in the field of international relations, global conflicts and international public service. It includes resources and links for sustainable (institutional) capacity development for human security in transitional and developing societies. The learning forum is managed by Dr. Marco Tavanti and includes some of the resources from his graduate course on International Conflict Management in the International Public Service program at DePaul University. The notion of sustainable human security is a paradigm that suggests most of the contemporary understandings on human security, human development, human dignity and human sustainability. The notion of sustainable human security emerges from at least thirty years of reflections in line with sustainable development; human rights based development, human security and human development. The World Commission on Environment and Development and the Human Development Reports have been instrumental for an integrated notion of sustainable development as precursor or sustainable human security. Along with other important United Nations documents and word conferences, they have contributed to a comprehensive definition of human security including the social, environmental and political aspects. Sustainable Human Security integrates four pillars reflecting what we know today about human security, human development, human dignity and human sustainability. The first pillar, Freedom from Fear is about human survival and the protection of individuals and communities from natural and man-made disasters along other situations of violence and conflicts. The second pillar, Freedom from Want is about human development and includes freedom from want often visible in extreme poverty, recurring poverty and systemic poverty situations. The third pillar, Freedom from Shame is about human dignity and the recognition of the fundamental human rights of every individual, including respect and protection of all aspects of diversity. The fourth pillar, Freedom from Vulnerability is about human sustainability and the protection of people from short and long-term natural disasters, especially through the reduction of man-made threats in nature. The pillars of sustainable human security are embedded into the political, economic, social, and environmental responsibility to build capacity through a human rights based approach and sustainable capacity approach. "Human Security Now" is a report published by the Commission on Human Security that identifies the new challenges to security that are present in a globally integrated world. Rather than security focusing only on the state, effective security measures must now take into consideration the security of the individual in a manner that protects his or her "vital freedoms." The report details several ways to advance the security of people, including protecting people in violent conflict, empowering people on the move, protecting people in post-conflict situations, and aiding those dealing with economic insecurity, among others. To access a copy of this report, a summary or the report in other languages click here. United Nations Development Programme. 1994. Human development report 1994. New York: Oxford University Press for the United Nations Development Program (UNDP). The 1994 Report introduces a new concept of human security, which equates security with people rather than territories, with development rather than arms. 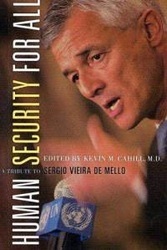 It examines both the national and the global concerns of human security. The Report seeks to deal with these concerns through a new paradigm of sustainable human development, capturing the potential peace dividend, a new form of development co-operation and a restructured system of global institutions. To access the report and more information related to it click here. This is a guide for practitioners who wish to integrate the added value of the human security approach into their work. Prepared by the United Nations Trust Fund for Human Security, this handbook provides an overview of the human security approach and its operational impact. Useful tools for applying the human security approach, including a step-by step strategy for developing, implementing and evaluating human security programmes and projects are provided. Two detailed case studies, one in post-conflict situations and another related to food insecure scenarios demonstrate the application of the human security tools. To access this and other documents from the United Nations Trust Fund for Human Security click here. Click on the image to get more information along with a partial preview of the selected book. The Human Security Report (and associated Human Security Brief series) is inspired by the UN’s Human Development Report. The Reports and Briefs provide information and analyses on global and regional trends in armed conflict and other forms of organized violence. They draw on the most recent scholarly research, focus on people rather than states, and are intended to be accessible to non-specialists. A comprehensive and regularly updated research and information database regrouping electronic and bibliographic resources on human security. The Gateway is an initiative of the Human Security Report Project. The UNTFHS finances projects that translate the human security approach into practical actions and provide concrete and sustainable benefits to vulnerable people and communities threatened in their survival, livelihood and dignity. PRAXIS provides a forum for the exchange of ideas and seeks to promote innovative research in the field of human security. Together with the Institute for Human Security at The Fletcher School, the journal explores the intersections between the historically separate fields of humanitarianism, development, human rights, and conflict resolution. The Ford Institute is a part of the Graduate School of Public and International Affairs (GSPIA) at the University of Pittsburgh. It is dedicated to advancing the study and practice of human security by conducting policy-oriented academic research, providing resources on human security to a broad audience, and reaching out to a network of scholars and organizations engaged in human security work. Acharya, Amitav, Subrat K. Singhdeo, and M. Rajaretnam. 2011. Human security from concept to practice : case studies from Northeast India and Orissa. Singapore: World Scientific. 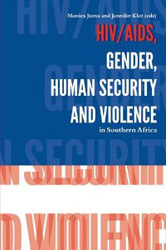 This book suggests new practical applications of the human security concept, such as human security mapping, the human security governance index and human security impact assessment. Using Northeast India and Orissa as case studies, the methodology introduced in this path-breaking book can be applied to conflict zones worldwide. By designating the individual rather than the state as the referent object of security, human security is emerging as a framework that can serve as a means to evaluate threats, foresee crises, analyze causes of discord and propose solutions entailing a redistribution of responsibilities. Graham, David T., and Nana Poku. 2000. Migration, globalisation, and human security. London: Routledge. 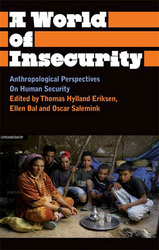 This book looks at a range of security and human security issues related to the displacement of civilian populations. It describes how the tenuous existence of migrants can lead to a myriad of human security threats. Providing major theoretical analysis of recent migration trends and in-depth case studies, this book shows that a redefinition of the notion of human security is now needed. The book also tackles some of the most crucial issues in the field of human security in many areas of the world, including Polynesia, Burma, Thailand and Russia from various perspectives such as the geopolitics of sovereignty, the implications of global diasporas and human movements. Hampson, Fen Osler, and Jean Daudelin. 2002. Madness in the multitude: human security and world disorder. Don Mills, Ont: Oxford University Press. At one level, human security is about "freedom from fear" and alleviating the plight of innocent victims of armed conflict. But at another level, the concept of human security addresses a much wider set of concerns. There are those who argue that human security is not just about "freedom from fear" but also "freedom from want" and other kinds of deprivation. In a wide-ranging theoretical and empirical analysis, this book examines the different meanings and understanding of the concept of human security and how the concept of human security has evolved over the past two centuries. This book explores how our conceptions of human security have evolved in the latter half of the twentieth century, analyzing the debate about how best to promote and advance human security. Kaldor, Mary. 2007. Human security: reflections on globalization and intervention. Cambridge, UK: Polity. There is a real security gap in the world today. Millions of people in regions like the Middle East or East and Central Africa or Central Asia where new wars are taking place live in daily fear of violence. Moreover new wars are increasingly intertwined with other global risks the spread of disease, vulnerability to natural disasters, poverty and homelessness. Yet our security conceptions, drawn from the dominant experience of World War II and based on the use of conventional military force, do not reduce that insecurity; rather they make it worse. This book is an exploration of this security gap. It makes the case for a new approach to security based on a global conversation- a public debate among civil society groups and individuals as well as states and international institutions. The chapters follow on from Kaldors path breaking analysis of the character of new wars in places like the Balkans or Africa during the 1990s. Lincoln, Chen. 2003. Global health challenges for human security. Harvard: Harvard U Asia Ctr [u.a.]. The goals of health and human security are fundamentally valued in all societies, yet the breadth of their interconnections is not properly understood. This volume explores the evolving relationship between health and security in today's interdependent world, and offers policy guidelines for global health action. This volume underscores three basic principles. First, recent developments in the changing security landscape present enormous challenges for human security and global health. Second, although the connections between health and security are long-standing, the current context of new conflicts, pervasive poverty, and accelerating global flows has brought the fields closer together. Finally, a human security approach dependent upon individual and collective action can identify new strategies for meeting the goals of global health and security. MacFarlane, S. Neil, and Yuen Foong Khong. 2006. 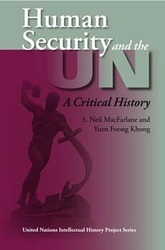 Human security and the UN a critical history. Bloomington: Indiana University Press. How did the individual human being become the focus of the contemporary discourse on security? What was the role of the United Nations in "securing" the individual? What are the payoffs and costs of this extension of the concept? Neil MacFarlane and Yuen Foong Khong tackle these questions by analyzing historical and contemporary debates about what is to be secured. From Westphalia through the 19th century, the state’s claim to be the object of security was sustainable because it offered its subjects some measure of protection. The state’s ability to provide security for its citizens came under heavy strain in the 20th century as a result of technological, strategic, and ideological innovations. By the end of World War II, efforts to reclaim the security rights of individuals gathered pace, as seen in the Universal Declaration of Human Rights and a host of United Nations covenants and conventions. 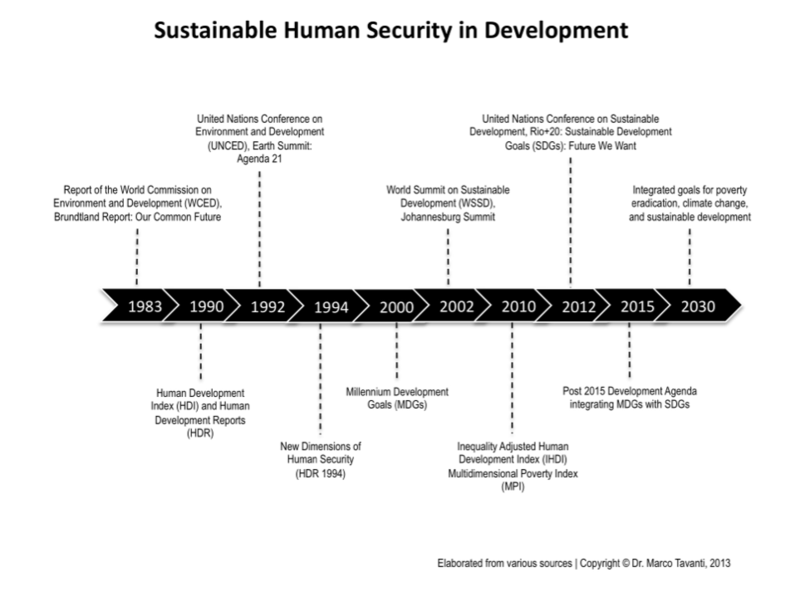 MacFarlane and Khong highlight the UN’s work in promoting human security ideas since the 1940s, giving special emphasis to its role in extending the notion of security to include development, economic, environmental, and other issues in the 1990s. MacLean, Sandra Jean, David R. Black, and Timothy M. Shaw. 2006. A Decade of human security: global governance and new multilateralisms. Aldershot: Ashgate. This book investigates innovations in the advancement of the human security agenda over the past decade and identifies themes and processes around which consensus for future policy action might be built. 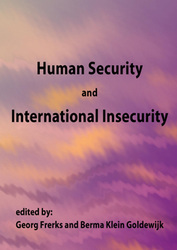 This volume: elaborates the ongoing debates regarding the human security agenda; considers prospects and projects for the advancement of human security; and, addresses issues of human security as emerging forms of new multilateralism. Human Security has been advanced as an alternative to traditional state-based conceptualizations of security, yet controversies about the use and abuse of the concept remain. This comprehensive volume explores the theoretical debate surrounding human security and details the implications for practical application. McRae, Robert Grant, and Don Hubert. 2001. Human security and the new diplomacy: protecting people, promoting peace. Montreal: McGill-Queen's University Press. "Human Security and the New Diplomacy" is a straightforward account of challenges already overcome and the prospect for further progress. From the evolution of peacekeeping, to peace building, humanitarian intervention, war-affected children, international humanitarian law, the International Criminal Court, the economic agendas of conflict, transnational crime, and the emergence of connectivity and a global civil society, the authors offer new insights into the importance of considering these issues as part of a single agenda. "Human Security and the New Diplomacy" is a case-study of a major Canadian foreign policy initiative and a detailed account of the first phase of the human security agenda. It is the story of Canada's leading role in promoting a humanitarian approach to international relations; it will be of interest to foreign policy specialists and students alike. Reveron, Derek S., and Kathleen Mahoney-Norris. 2011. Human security in a borderless world. Philadelphia, PA: Westview Press. This book offers a fresh, detailed examination of these challenges that threaten human beings, their societies, and their governments today. 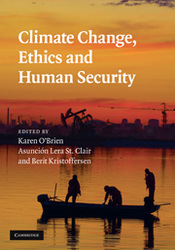 Authors Derek S. Reveron and Kathleen A. Mahoney-Norris provide a thought-provoking exploration of civic, economic, environmental, and maritime, health, and cyber security issues in this era of globalization, including thorough consideration of the policy implications for the United States. They argue that human security is now national security. This timely and engaging book is an essential text for today’s courses on security studies, foreign policy, international relations, and global issues. Features include three special sections in each chapter that explain potential counterarguments about the topic under consideration; explore the policy debates that dominate the area of study; and illuminate concrete examples of security threats. Stoett, Peter J. 1999. Human and global security: an exploration of terms. Toronto: University of Toronto Press. There is growing recognition that the post-Cold War era demands new conceptions of global and human security. In this highly readable account of international security issues, Peter Stoett begins by discussing four principal security threats: state violence, environmental degradation, population displacement, and globalization. Employing a minimalist-maximalist framework - the minimalist interpretation applies to conventional and restricted legal definitions of a term, while the maximalist interpretation refers to broader conceptions of problems, often global in effect - Stoett argues that the acceptance of either perspective has profound conceptual and immediate praxeological implications. While the latter may tend to see security in terms of the state and governance within an international system, it is the former, more specific, interpretation that is suitable for policy analysis. Only varied understandings of the basic terms of global security, Stoett reasons, allow for widespread critical debate among both generalists and specialists. Tadjbakhsh, Shahrbanou, and Anuradha M. Chenoy. 2009. Human security: concepts and implications. London: Routledge. While there is no consensus as to the exact definition of the term, human security goes beyond traditional notions of security to focus on such issues as development and respect for human rights. To some the concept is attractive, but analytically weak since it introduces too many variables that are not necessarily linked together. To others, human security concerns should be limited to situations marked by the threat or outbreak of violence. 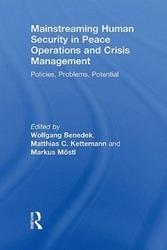 This book introduces the various documents on the subject produced by international organizations, takes up the problem of the relation between academic research and policy-making, and points to a certain number of cases in which nations or regional organizations have included human security as a foreign policy option. Throughout the paper reference is made to the case of Afghanistan that is treated in the study reproduced in annex. Thomas, Caroline, and Peter Wilkin. 1999. Globalization, human security, and the African experience. Boulder, Colo: Lynne Rienner Publishers. The globalization of world politics affects issues rarely considered in traditional security studies. 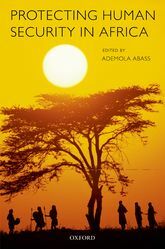 This book explores the interrelationships of those issues in critical security terms, drawing on the African experience. The authors provide a mixture of theory and case studies distinguished by thorough cross-referencing. 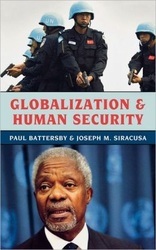 The introduction to the book establishes the context of the security debate; it sets out the relationship between globalization and security and explores the challenges posed to the realization of security, defined holistically, by the processes of globalization. Subsequent chapters focus on class, community, gender, justice, and race—concepts central to the elaboration of the new security, but too often neglected. The case studies in Part 2 empirically explore these same conceptual issues, and the final chapter presents an overview of the African experience. Thomas, Caroline. 2005. Global governance, development and human security: the challenge of poverty and inequality. London: Pluto Press. In this book Caroline Thomas argues that the global development and security agendas are merging. No longer is the language of security confined within the straitjacket of the state and associated national security concerns. The spotlight is shifting to the legitimate security concerns of human beings. The book examines how development is promoted by global governance institutions and how this has impacted on human security in the 1990s. Thomas focuses on the effects of trade, finance, and investment liberalization on deepening inequality. The book investigates reformist and transformist visions of the future and the contrasting policies tabled for their achievements. Annan, Kofi Atta. 2005. In larger freedom: towards development, security and human rights for all ; report of the Secretary-General. New York: United Nations. In this report, Secretary-General Kofi Annan places before world leaders an agenda to move our world decisively towards three important goals: halving poverty in the next ten years; reducing the threat of war, terrorism and deadly weapons; and advancing human dignity in every land. He also calls for the most far-reaching reform of the United Nations in its 60-year history. Annan, Kofi A. 2000. We the peoples: the role of the United Nations in the 21st century. New York: United Nations, Dept. of Public Information. For the first 45 years, the United Nations lived in the grip of the Cold War and was prevented from fulfilling some of its core missions. Now, the Millennium Summit offers the world's leaders an unparalleled chance to reshape the United Nations enabling it to make a real and measurable difference in the lives of the world's people. Kofi Annan lists six shared values, reflecting the spirit of the Charter, which are of particular relevance to the new century: Freedom; Equity and Solidarity; Tolerance; Non-Violence; Respect for Nature; and Shared Responsibility. Canada. 2002. Freedom from fear: Canada's foreign policy for human security. [Ottawa]: Dept. of Foreign Affairs and International Trade. Because the government of Canada has been a pioneer and leader of the movement to infuse the “human security” approach into international relations, the document “Freedom from Fear” is especially notable and can benefit to all those seeking to understand this emerging concept. Admirably succinct at only 16 pages, and featuring an easy-to-digest format, this official statement defines human security as “freedom from pervasive threats to people’s rights, safety or lives”. In particular, the Canadian government “focuses on increasing people’s safety from the threat of violence”, an approach that, it says, aligns with the country’s established policies in the areas of national security, human rights, and international development. Human Security Centre. 2005. Human security report 2005: war and peace in the 21st century. New York: Published for the Human Security Center, University if British Columbia, Canada [by] Oxford University Press. This report tracks and analyzes trends in political violence around the world. The Report argues that the single most compelling explanation for these changes is found in the unprecedented upsurge of international activism, spearheaded by the UN, which took place in the wake of the Cold War and was designed to stop ongoing wars, help negotiate peace settlements, support post-conflict reconstruction, and prevent old wars from starting again. Human Security Centre. 2007. Human security brief 2006. Vancouver, B.C. : Human Security Centre, Liu Institute for Global Issues, University of British Columbia. The Report's conflict trend data and analyzes the findings of two recently released data sets that track trends in war terminations and organized violence against civilians. The new data indicate that the post-Cold War decline in armed conflicts and related fatalities reported last year has continued, with Sub-Saharan Africa seeing the greatest decrease in political violence. But some of the other findings are far from positive. Four of the world's six regions have experienced increased numbers of conflicts since 2002, the last five years have seen a huge spike in the estimated death toll from terrorism, while negotiated settlements, which are responsible for an increasing proportion of conflict terminations, have worryingly high failure rates. Human Security Report Project (Simon Fraser University). 2011. Human Security Report 2009/2010: the causes for peace and the shrinking costs of war. New York: Oxford University. Part I of this report examines the forces and political developments that have driven down the number of international conflicts and war deaths since the 1950s, and the number of civil wars since the early 1990s. It argues that the fact that these forces persist, or have strengthened, provides grounds for cautious optimism about the future of global security. Part II examines the paradox of mortality rates that decline during the overwhelming majority of today’s wars, as well as the challenges and controversies involved in measuring indirect war deaths—those caused by war-exacerbated disease and malnutrition. Part III, “Trends in Human Insecurity,” reviews recent trends in conflict numbers and death tolls around the world, and updates the conflict and other trend data in previous HSRP publications. Human Security Report Project. 2012. Human Security Report 2012: Sexual Violence, Education, and War: Beyond the Mainstream Narrative. Vancouver: Human Security Press, Simon Fraser University. This Report challenges a number of widely held assumptions about the nature of sexual violence during war and the effect of conflict on education systems. Both analyses are part of the Human Security Report Project’s ongoing investigation of the human costs of war. Part I: Sexual Violence, Education, and War first reviews the fragmentary data on sexual violence against adults and children in wartime. It finds, among other things, that the mainstream narrative exaggerates the prevalence of combatant-perpetrated sexual violence, while largely ignoring the far more pervasive domestic sexual violence perpetrated in wartime by family members and acquaintances. Part II reviews global and regional trends in the incidence and severity of organized violence. It highlights new research on the deadliness of external military intervention in civil wars, challenges the notion that conflicts are becoming more persistent, and shows that even “failed” peace agreements save lives. Hussein, Karim, Donata Gnisci, and Julia Wanjiru. 2004. Security and human security: an overview of concepts and initiatives ; what implications for West Africa? Paris: OECD. Prepared under the auspices of the Sahel and West Africa Club (SWAC), a regionally focused research and advocacy division of the Organization for Economic Co-operation and Development (OECD), this 47-page study is especially noteworthy because it provides an assessment of “human security” tailored for an African readership (for another source that engages human security from the perspective of the “developing” world, see the entry in this bibliography for United Nations Development Program, Arab Human Development Report 2009). A central goal of the paper, therefore, is to acquaint SWAC members and affiliates with the ideas, vocabulary, and practices of human security in order to spur debate on the concept and how it can be calibrated to address West African realities. Instituto del Tercer Mundo. 2004. Fear and want: obstacles to human security : Social Watch report 2004. Montevideo, Uruguay: Instituto del Tercer Mundo. “Frustrating the hopes of peoples and nations all around the globe will certainly not help make the world a more secure place for our children” concludes the Social Watch report 2004, summarizing the findings of citizen coalitions in 50 countries, poor and rich, about what they see as main obstacles to human security. Contributors to the Social Watch report 2004 include organizations from places as diverse as Iraq and Switzerland, from the richest and the poorest countries in the world. Armed conflict and high crime rates are perceived as major threats by citizens in many of them, but poverty and declining coverage of social services are feared the most by citizens in many others. Japan. 2007. The trust fund for human security: for the "human-centered" 21st century. Tokyo: Global Issues Cooperation Division, Ministry of Foreign Affairs of Japan. After describing what human security is, the Japanese statement usefully traces the history of efforts by the United Nations, UN member states (including Japan), and nongovernmental organizations to define and institutionalize human security as a major theme of international relations. The second section of the document sketches Japan’s own human security initiatives, while the third part illustrates the operations and budget of the UN’s Trust Fund for Human Security, of which Japan is a major funder. Mack, Andrew, and Zoe Nielsen. 2008. Human security brief 2007: featuring a special report "Dying to lose : explaining the decline in global terrorism". Vancouver: Human Security Report Project, Simon Fraser University. This brief reveals a sharp net decline in the incidence of terrorist violence around the world. The brief also describes and analyses the extraordinary, but largely unnoticed, positive change in sub-Saharan Africa's security landscape. Finally, the Brief updates the findings of the 2005 Human Security Report, and demonstrates that the decline in the total number of armed conflicts and combat deaths around the world has continued. The number of military coups has also continued to decline, as have the number of campaigns of deadly violence waged against civilians. Slaughter, Anne-Marie, Carl Bildt, and Kazuo Ogura. 2004. The new challenges to international, national and human security policy: a report to the trilateral commission. Washington: Trilateral Commission. This broad-ranging report addresses differing national, regional, and cultural views on today’s most pressing security issues. The authors discuss questions of national vs. human security policy, military intervention, unilateralism, legality, legitimacy, and efficiency in evaluating potential responses to such global threats as terrorism, weapons of mass destruction, and massive human rights violations. Smillie, Ian, Lansana Gberie, and Ralph Hazleton. 2000. The heart of the matter: Sierra Leone, diamonds & human security. Ottawa: Partnership Africa Canada. This study of the Sierra Leone diamond trade and its international connections demonstrates the centrality of diamonds to that country's brutal conflict. The RUF rebels exchange diamonds for arms and drugs in brazenly open smuggling operations through Liberia and other countries in the region. The report describes the diamond industry and the chain of intermediaries between miner and jeweler, as it existed at the beginning of 2000. United Nations. 2004. A more secure world our shared responsibility : report. [New York]: United Nations. Today, more than ever before, a threat to one is a threat to all. Threats to international peace and security go far beyond aggression by States and include poverty, deadly infectious disease, environmental degradation, civil war, weapons of mass destruction, terrorism and transnational organized crime. This report by 16 of the world’s most experienced leaders puts forward a bold new vision of collective security that stresses the need for effective, equitable action in preventing and responding to all major threats to international peace and security. Alkire, Sabina. 2003. 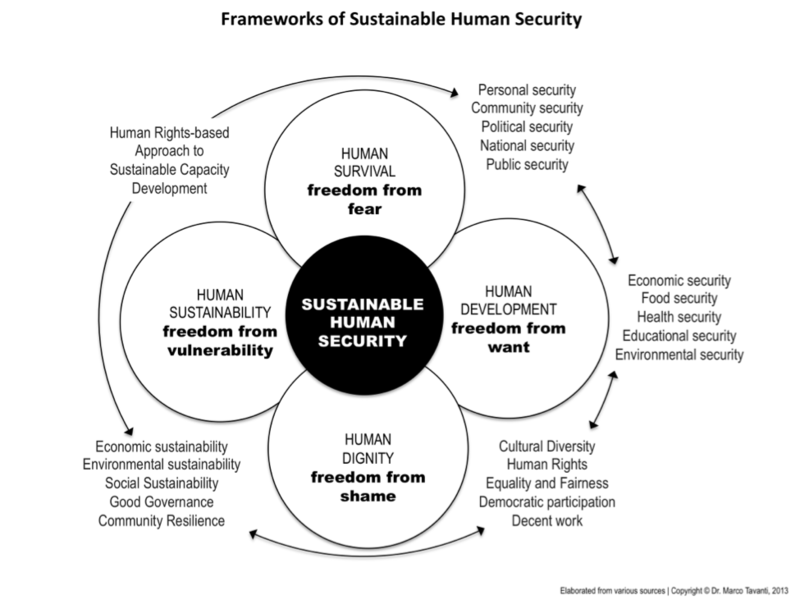 A conceptual framework for human security. Oxford: Centre for Research on Inequality, Human Security and Ethnicity, University of Oxford. The paper reviews the ways that human security has been defined, provides a working definition and shows how this can form the basis of operational responses by many different institutions. A review of definitions in the literature points to freedom from need and vulnerability as being fundamental characteristics. The working definition suggested in the paper is based on safeguarding, or protecting, human beings against economic, political, health and natural hazards that are beyond their immediate control. It is argued that there is a vital core of elements that should be included in the working definition, in general encompassing freedom from fear and from want—the exact constituents of this vital core may be defined differently by different societies. Axworthy, Lloyd. 2001. "Human security and global governance: putting people first".Global Governance : a Review of Multilateralism and International Organizations 7(1) Jan.-Mar. 2001 - 19-23. Lloyd Axworthy, Minister of Foreign Affairs in Canada (1996-2000), and Canadian officials adopted the human security concept as an organizing principle for elements of their foreign policy that “included human rights, governance, child soldiers, and women in conflict, landmines, peace operations and peace building, and the development of international criminal law.” Security traditionally has focused on the state because its fundamental purpose is to protect its citizens. Hobbled by economic adversity, outrun by globalization, and undermined from within by bad governance, the capacity of some states to provide this protection has increasingly come into question. This incapacity is particularly obvious in war-torn societies.. This drives us to broaden the focus of security beyond the level of the state and toward individual human beings, as well as to consider appropriate roles for the international system to compensate for state failure. Barnett, J., and W.N. Adger. 2007. 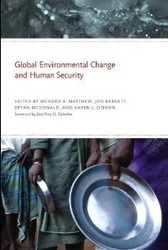 "Climate change, human security and violent conflict".Political Geography. 26 (6): 639-655. Climate change is increasingly been called a ‘security’ problem, and there has been speculation that climate change may increase the risk of violent conflict. This paper integrates three disparate but well-founded bodies of research – on the vulnerability of local places and social groups to climate change, on livelihoods and violent conflict, and the role of the state in development and peacemaking, to offer new insights into the relationships between climate change, human security, and violent conflict. It explains that climate change increasingly undermines human security in the present day, and will increasingly do so in the future, by reducing access to, and the quality of, natural resources that are important to sustain livelihoods. The paper then outlines the broad contours of a research program to guide empirical investigations into the risks climate change poses to human security and peace. Bajpai, Kanti P. 2000. Human security: concept and measurement. Notre Dame, IN: University of Notre Dame, Joan B. Kroc Institute for International Peace Studies. What is human security? 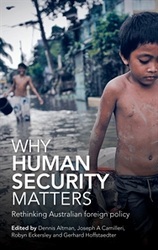 Can human security be described succinctly enough to guide research and policy? This essay suggests that the idea of human security can be clearly delineated in relation to the dominant, neo-realist conception of security and that its elements can be presented compactly enough for further refinement. The human security conception presented here aspires to be a general schema, more or less applicable to any society in the world, and important parts of it are even quantifiable. If so, it is argued that it is possible to carry out an annual audit of human security, much as human development is audited on a yearly basis by the United Nations Development Program (UNDP) in its Human Development Report. Burke, Anthony. 2002. "Caught between national and human security: knowledge and power in post-crisis Asia". Peace Research Abstracts. 39 (5): 611-755. Since the Asian political and economic crisis, traditional concepts and practices of security have come under increasing question. However, there is substantial political and institutional resistance to rethinking national security in favor of human security. This essay addresses recent proposals for a 'reconciliation' of traditional and human security and, while it sees some value in doing so, it also argues that there are important political and conceptual reasons why this may not be possible, or desirable. Crucial here is the way both Asian and Western security policies have combined external defense with repressive approaches to internal security and national integrity. 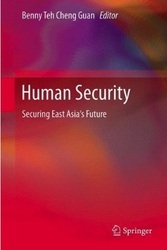 By way of an analysis of the difficulties in transforming security practices in post-Soeharto Indonesia, the essay concludes that operationalizing human security will require a serious commitment to reforming security doctrines, pursuing long-term conflict resolution, and people-centered change to the rules and structure of the global economic system. Hastings, David A. 2009. From human development to human security a prototype human security index. Bangkok: UNESCAP, Macroeconomic Policy and Development Division. Since 1990, the Human Development Index has revolutionized discussions about human development. However, it suffers from two deficiencies, which can now be mitigated: geographic incompleteness and insufficiently “on-target” representation of economy, knowledge, and “a long and healthy life” at the level of the individual. This report summarizes attempts to rectify those deficiencies. The data show that most countries are characterized by one or more relative strengths, and also one or more weaknesses, which might help them to focus on areas for improvements. Indeed, no country ranks above 0.800 (on a 0-1.000 scale as in the Human Development Index) in all components. Henk, Dan. 2005. Human Security: Relevance and Implications. Ft. Belvoir: Defense Technical Information Center. Policy makers in several countries have gone so far as to embrace the concept as a foundation for their national foreign policy, while U.S. policy makers are at best ambivalent or, more commonly, skeptical. Can any concept still so undefined and contested really have much utility? Or more to the point, should U.S. military professionals pay any attention to it? This article argues in the affirmative, acknowledging that it is a paradigm gaining in prominence and may be an important part of the conceptual environment in which U.S. military professionals will act in the future. The use of the concept also might have sufficient utility for U.S. policy makers to warrant a closer examination. The purpose of this article is to note the origin, meaning, and contemporary usage of the "human security" concept, and to suggest why U.S. military professionals should not ignore it. The article also will explore several implications of the increasing global interest in the concept and will offer some cautions and concerns. King, Gary, and Christopher J L Murray. 2001. "Rethinking Human Security". Political Science Quarterly. 116 (4): 585. The concept “Human security” lacks both a clear definition, consistent with the aims of the international community, and any agreed upon measure of it. This paper, propose a simple, rigorous, and measurable definition of human security: the expected number of years of future life spent outside the state of "generalized poverty". Generalized poverty occurs when an individual falls below the threshold in any key domain of human well-being. The researchers have considered improvements in data collection and methods of forecasting that are necessary to measure human security and then introduce an agenda for research and action to enhance human security that follows logically in the areas of risk assessment, prevention, protection, and compensation. Michael, Sarah. 2002. The role of NGOs in human security. [Cambridge, Mass. ]: Hauser Center for Nonprofit Organizations, Harvard University. Human security is fundamentally concerned with helping people to deal with unforeseeable threats and sudden downturns, whether international financial crises, environmental disasters or incapacitating illnesses. This paper argues that NGOs, as one of the most visible sets of actors in the related fields of human development and human rights, can play a significant role in helping to achieve human security. NGOs are especially well suited to action for human security because of their size and reach, closeness to local populations, willingness to confront the status quo, and ability to address transnational threats through coalition-building. Newman, Edward. n.d. "Human security and constructivism". International Studies Perspectives. 2. This article explores the concept of “human security” as an academic and fledgling policy movement that seeks to place the individual—or people collectively—as the referent of security. It does this against a background of evolving transnational norms relating to security and governance, and the development of scientific understanding that challenges orthodox conceptions of security. It suggests that human security is not a coherent or objective school of thought. Rather, there are different, and sometimes competing, conceptions of human security that may reflect different sociological/cultural and geo strategic orientations. Human security: a challenge to international law? Oberleitner, Gerd. n.d. "Human security: a challenge to international law?" Global Governance (Trykt Utg.). 11. The concept of human security, which emerged in the 1994 UNDP Development Report, is on its way to changing the practice and institutions of global governance. The underlying issues of human security—a focus on the individual, the waning of state sovereignty and the rise of new actors, the shift in our understanding of security, the need and risks of “saving strangers” through humanitarian intervention, the reform of the Security Council, the conduct of complex peace missions, and the adequate reaction to new threats—pose a challenge to international law. As a value-based and people-centered approach to security, human security will contribute to normative changes in the international legal order. Owen, Taylor. 2004. "Human Security - Conflict, Critique and Consensus: Colloquium Remarks and a Proposal for a Threshold-Based Definition". Security Dialogue. 35 (3): 373-387. The aim of the colloquium in this issue of Security Dialogue was to both summarize and advance the rich but scattered literature on human security. The result is a microcosm of the ten-year academic debate, told through the condensed perspectives of many of the people who shaped it. This article first summarizes the 21 thoughtful and innovative commentaries, and identifies three principal themes: the theoretical broad-versus-narrow debate, human security’s practical utility, and the fundamental critique and defense of the concept. Then, it is proposed that a threshold-based conceptualization, one rooted in the original UNDP definition, offers a conciliatory way forward to what is often characterized as a fractured debate. Paris, Roland. 2001. "Human security: paradigm shift or hot air?" International Security.262: 87-102. Roland Paris of the University of Colorado argues that the term “human security” is still "so vague that it verges on meaninglessness—and consequently offers little practical guidance to academics who might be interested in applying the concept, or to policymakers who must prioritize among competing policy goals." Paris proposes instead that human security become the label for a broad category of research within the security studies field. Human security is the latest in a long line of neologisms—including common security, global security, cooperative security, and comprehensive security—that encourage policymakers and scholars to think about international security as something more than the military defense of state interests and territory.